There are enough of these remnants that Philip J. Riley was able to publish a reconstruction of Tod Browning’s movie in book form, but if you didn’t have the opportunity or good sense to pay $29.95 for it in 1987, you’ll have to shell out ninety bucks or more now. A few years ago Turner Classic Movies did a similar reconstruction, this time on film, and that one’s available on The Lon Chaney Collection. But back to London After Midnight. There’s always hope it may someday surface, like Street Angel and The Garden of Allah, but it hasn’t happened yet; the last known print was destroyed in a studio fire in the 1960s. Director Browning did a loose remake in 1935 — Mark of the Vampire, with Bela Lugosi and Lionel Barrymore taking over the equivalent roles that were both originally played by Lon Chaney — but that time Browning made major changes; for one thing, the new picture didn’t even take place in London. If we want any sense of the original, we still have to depend on the Riley and TCM reconstructions. Or…there is this. I came across this book while perusing the shelves at the estate sale of a popular Sacramento TV personality. 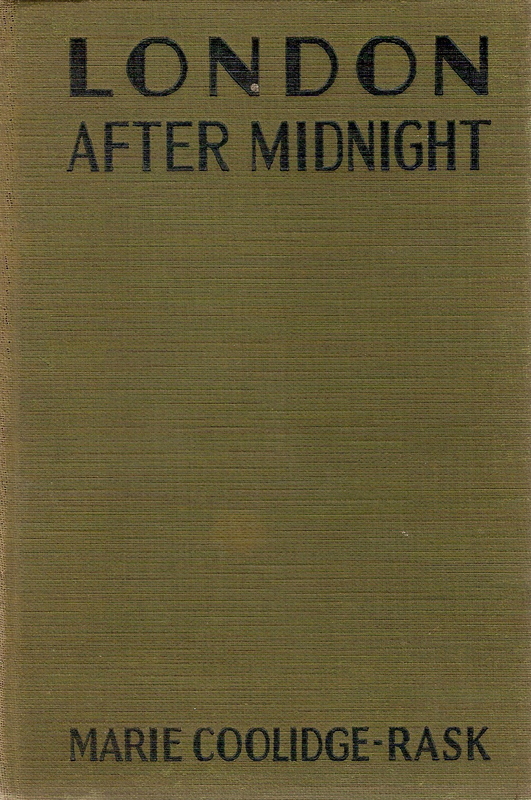 The novelization is the work of Marie Coolidge-Rask, who evidently made a decent living out of this kind of piecework. She’s known to have also novelized Mary Pickford’s Sparrows (1926) and the King Vidor-Lillian Gish La Boheme that same year (now there’s a literary platypus for you: a novelization of a silent movie of an opera). Otherwise, Ms. Coolidge-Rask’s literary output seems not to have left much impression on the shifting sands of time. These movie tie-ins weren’t a terribly lucrative field for the writer-for-hire; usually there was just a flat fee — probably, in the 1920s, no more than a thousand dollars or so, if that — and that was that, no royalties. 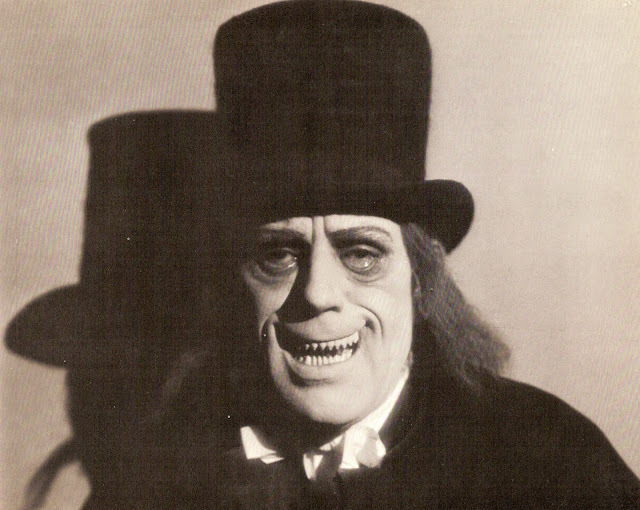 A shame, because London After Midnight may have sold pretty well; Mori’s opinion notwithstanding, the movie was the most successful Browning-Chaney collaboration. Whatever MGM or Grosset & Dunlap paid her for her efforts, I hope for her sake she invested it wisely. I don’t know what kind of scientist would pin a fly to the wall to see it through a microscope, but I suppose Ms. Coolidge-Rask might have known some. 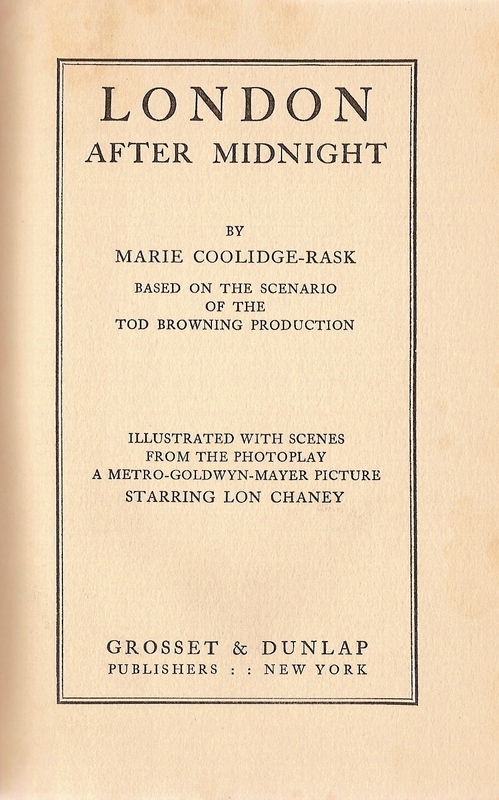 Anyhow, now, just in time for Halloween, I propose to spend the next few posts hacking through the purple undergrowth of Marie Coolidge-Rask’s prose (I do these things so you don’t have to), distilling it into a chapter-by-chapter synopsis of her novelization. 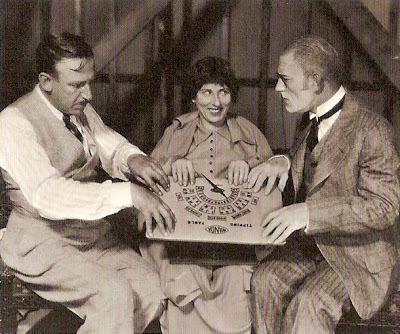 In this way I hope to get some sense of what audiences at Browning’s vampire/murder mystery might have seen in 1927 — sort of like Tod Browning, Polly Moran and Lon Chaney here pretending to commune with the spirit world for the MGM publicity department. This will be, so to speak, by the book, without reference to either Philip J. Riley’s or TCM’s reconstructions; if there are differences, maybe we can talk about those later. Well…I'm one who doesn't know of (or has, thanks to sands-through-the-hourglass, misplaced the memory of) "London After Midnight." But I am about to eagerly consume the remaining three installments of your 4-part examination. Extremely interesting stuff and, as ever, superbly written, Jim. Thanks, Eve — for all of your comments, Parts 1 through 4! 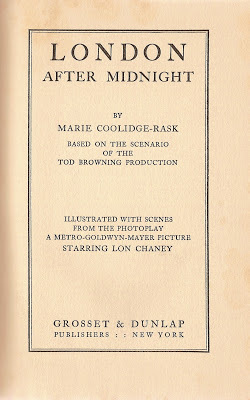 Maybe someday we'll get a chance to compare Marie Coolidge-Rask's creativity more directly with Tod Browning's, but until then…but maybe I'd better say no more, in case other readers haven't read the rest yet.